Carpeting or flooring is the foundation of any home. We know, we know, you’ve heard it before. You know it, we know it, your family should know it by now. So why is it that time and time again we run into customers who have dealt with the worst flooring experiences ever, simply because they’ve gone with subpar materials. It’s time for us to MythBuster this for them, and for you. Because we care about our products. And we care about our industry standards. And most of all, we care about you. We’re passionate about the smiles on your faces and the dollars saved in your wallets when this process is done right. So we’re sorry to do this to you, but it’s time to share some horror stories. Take stock in their lessons and hope that these things don’t happen to you! Our first victim was extremely excited about bamboo flooring. After all, it’s all the rage, especially for homes and offices going for a modern, minimalist look. So he clicked on the first link he found in his search engine, picked out the stain of the bamboo and scheduled an installation. At first he was totally enamored with the look and feel of his living space. It was clean, it was sleek and it went perfectly with his furniture. That is, until he decided to exercise some feng shui and re-arrange his furniture. Then his flooring REALLY went with his furniture. Literally. Appalled he tried to lift the furniture from the flooring and push it back into place. He was even more frustrated to see that the furniture and flooring had melded together in a humid Australian summer and it was completely ruined. When returned to the company that had installed the flooring, they took no responsibility. Knox quickly gained a new customer. Our next customer was looking for a good way to insulate her downstairs basement during the winter. She figured that carpet was a safe and cost-effective bet. She moseyed on down to the carpet retailer on her high street and picked out a color and texture that was sure to work with the space. 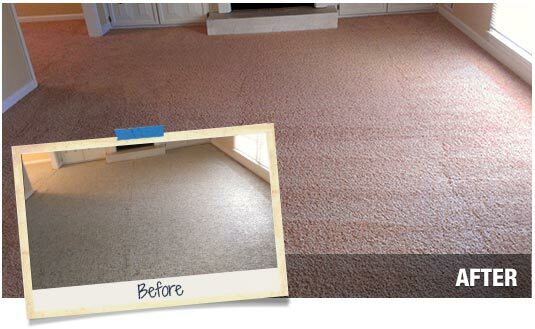 It was only a week later that the carpet was freyed and pulling at the sides because the wrong sizing had been installed. Like our first victim, the company that provided this carpet showed no interest whatsoever and put blame on the customer. Needless to say, she did not return to them. And finally, our third customer. She was particularly excited about the release of STAINMASTER carpets. After all she has five kids. FIVE. That’s a lot of regular wear and tear. She assumed authenticity in the carpet retailer that she worked with and had STAINMASTER carpet installed in the majority of her house. It only took a few weeks before the carpet was as mussed and fussed as if it had been regular, bargain carpet. She called the retailer rather upset. The retailer was bemused, and a little amused. He had not thought she assumed she was getting STAINASTER brand at that price, merely a knock-off. Another customer for Knox. We share these stories as cautionary tales but don’t think you’ll ever run into these scenarios at Knox. Our ethos are built on creativity, durability and above all, authenticity.